Happy Deepavali, from the Human Resources team! 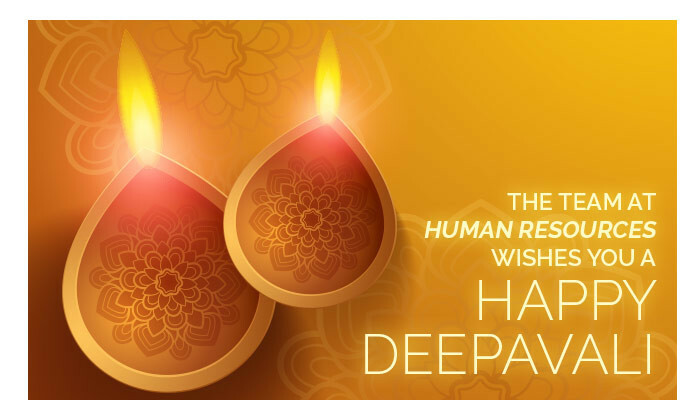 From the team at Human Resources, we send you our best wishes for a happy and prosperous Deepavali! The ministry plans to conduct a holistic review on all its existing acts before coming out with a draft. In Malaysia, 53% of survey respondents have cited their ability to concentrate at work as being hardest hit. Did you know, absences due to sick leave can fall by 9% in the first nine months after a workplace crèche is opened? As one of the policy’s provisions, primary parents will get to benefit from 12 weeks of paid leave. Close to half of 2,167 organisations say D&I is the CEO’s prerogative, while 31% believe the CHRO should take on this task. Head of HR, 3M Singapore, reveals how the firm’s initiatives helped it achieve 60% women in its local leadership team. In a bilingual and international city like Hong Kong, are strict language requirements for job applicants holding employers back? If the CEO does not believe in the value of coaching and sponsoring women leaders, then nothing will change in your organisation. On that note, PM Najib said that this is done to achieve the target of having 30% women directors in the private sector. In this exclusive, 7 leaders share with us practical tips on speaking the same language as your diverse team members. Your employer brand is more likely to be shared if you can make Millennials chuckle, or put in an element of gaming. ..